More Old Navy Stores Coming Soon | Gap Inc. There is nothing quite like the opening of a new store – the excitement from our customers, the teams beaming with pride after the hard work (and good ol’ elbow grease) that goes into prepping. Then the doors open to debut our latest styles, and of course, there are balloons (it’s not an Old Navy opening without balloons!). Earlier this year, Old Navy announced that it was on track to open over 60 stores by the end of FY2018. With 11 more openings to go, we are on track to open over 70. Each new city, store and shopping center has brought more employees into the Old Navy family and shoppers from new communities into our stores. By opening these stores we’ve had the opportunity in some instances to introduce our brand to customers for the first time, and in others, simply created a closer, more convenient store experience for our Old Naviest shoppers. Didn’t have a grand opening near you? Here’s a glimpse at all the fun, fashion, and family moments you may have missed…. 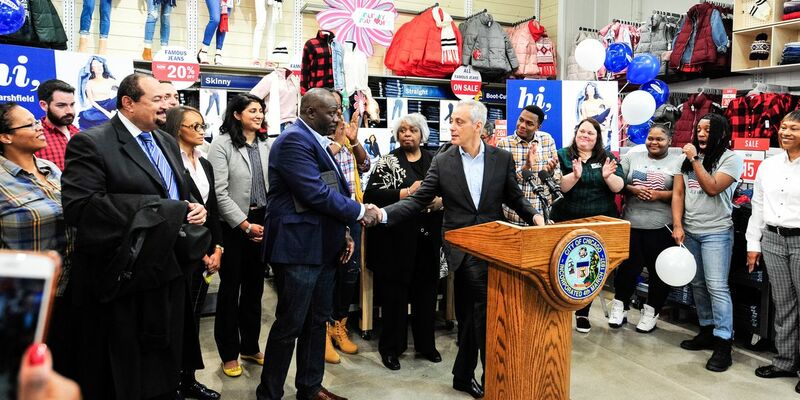 In the U.S., Old Navy just opened its sixth store in Chicago’s Marshfield Plaza thanks to a partnership with Mayor Rahm Emanuel and The Neighborhood Opportunity Fund, a special grant he created to bring new jobs and economic support to communities in need throughout the city. Some very special guests came to celebrate this exciting opening. 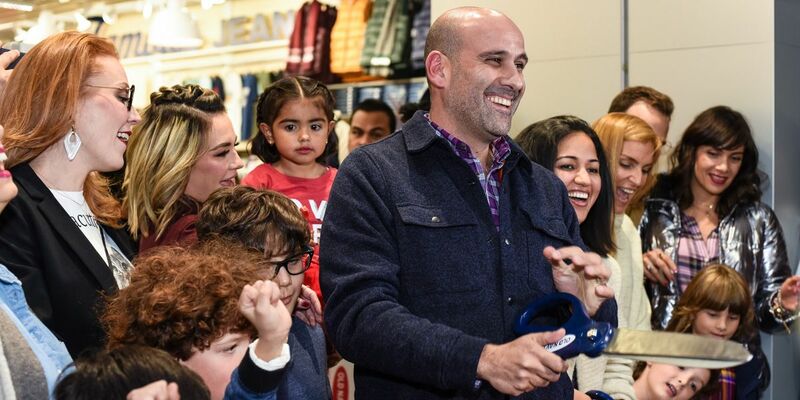 Keith White, SVP of Loss Prevention at Gap Inc., who was born and raised in the South Side of Chicago, welcomed the community and shared details about the opportunities this store will bring to residents of his hometown. Amber Clemons from the Youth Job Center (our This Way Ahead partner in Chicago) shared how the program has helped 344 young people since 2015, providing Chicago youth with mentoring, skills training, and their first job experience. 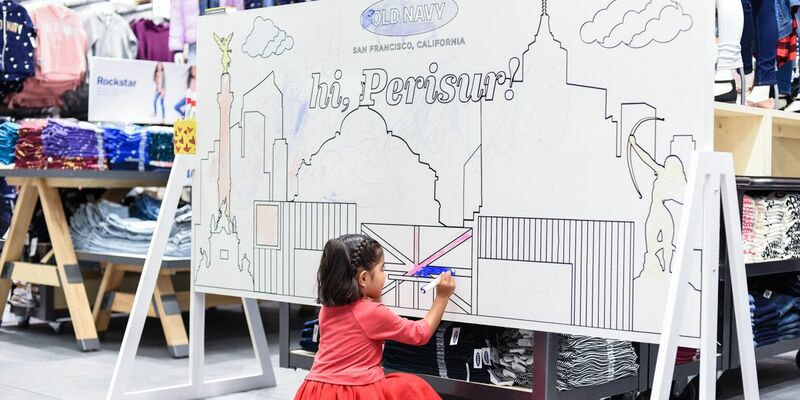 Old Navy Canada recently celebrated the opening of a store in Vancouver at the popular Hillcrest Center. Who better to welcome our shoppers into this exciting new location than Tracy Moore, popular host of Canada’s morning lifestyle show, “Cityline?” Our friends from the Boys and Girls Club of America also joined us and we were honored to continue our support of this incredible organization with a donation to the York Region chapter on behalf of the brand. 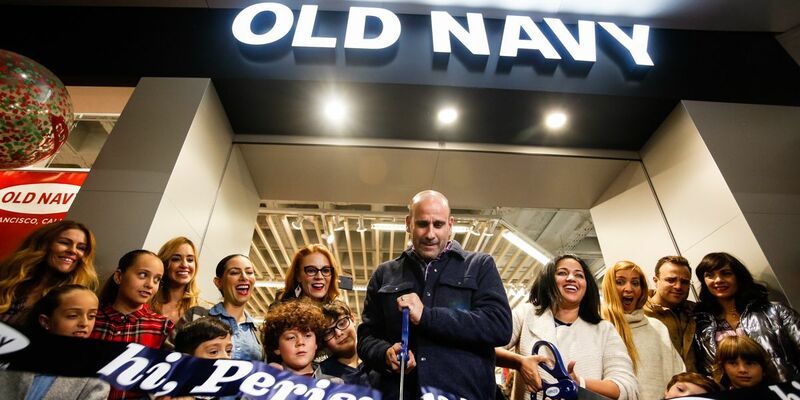 And in Mexico, Old Navy just opened its doors in Mexico City at the Perisur Mall, one of the largest and most well-known shopping malls in the country, and a shopping destination for visitors from around the globe. The brand welcomed the shoppers of Mexico City into the new store with lively celebration where celebrities and influencers like Olivia Peralta, Daniela Magún, Angie Taddei, Max Villegas, Claudia Lizaldi, Danielle Clyde and Renata Gómez (just to name a few) walked the red carpet. The French DJ, Djeko, was in charge of the music, setting the mood of the event with the best beats. Old Navy welcomed hundreds of new customers and families who came to enjoy the new store and were ready to enjoy the great celebration. There are still more stores to open before the year ends! Check out the list below and keep your eyes out for more Old Navy stores headed your way.